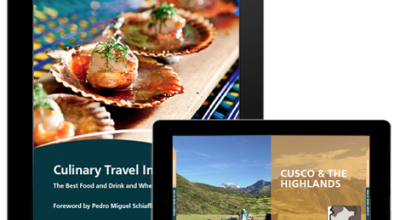 A luxury travel Galapagos vacation to this remarkable archipelago – a total of 35 volcanic islands off the coast of Ecuador – is a truly unforgettable, once-in-a-lifetime experience. Named after the shape of giant tortoise shells, the Galapágos Islands are a treasure trove of unique marine and animal life. It is believed that the Galapagos islands were never connected to the continent, hence the animals that live here have evolved in their own unique way over many hundreds of thousands of years. Charles Darwin observed this during his five-week trip here in 1835 — a trip which changed the way we view the world forever after inspiring his theory of evolution. The islands are a UNESCO World Heritage site. 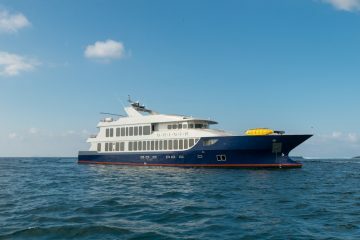 Visit the Galapagos Islands by taking a luxury Galapagos cruise, or staying in a top luxury lodge. 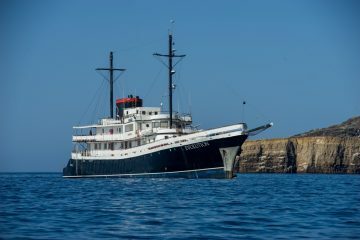 The Galapagos Islands can either be visited by cruise, or by staying in a luxury hotel or lodge. You can also combine a cruise with a lodge stay. 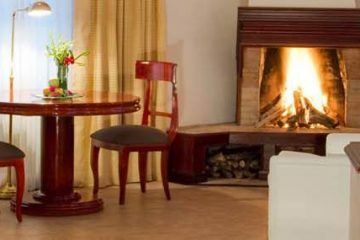 The right option for you depends on a number of factors including your travel style and the activities you are specifically looking to do (e.g. diving). The shortest cruises are just three days, but we strongly recommend a minimum of five days for visiting the Galapagos Islands. Many cruises offer fixed eight-day departures. The Galapagos Islands are located some 1,000 kilometres (600 miles) off the Pacific coast of Ecuador. Flights from the mainland can be taken from either Guayaquil or Quito airport. Flights from Quito take 3 hours and 40 minutes (with a stopover in Guayaquil). Flights from Guayaquil take 1 hour and 40 minutes. You will need to spend a night in either city before your flight to the Galapagos as these leave early in the morning. There are three airlines: AeroGal, LATAM and TAME. There are two airports in the Galapagos on different islands: Baltra and San Cristobal. 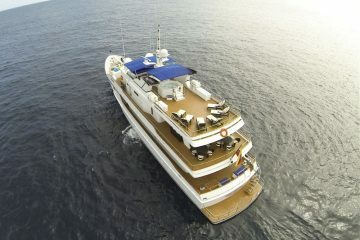 From here you are collected and transferred to your luxury Galapagos cruise or hotel. The island of Isabela can be reached by small plane from Baltra airport, which takes half an hour (or alternatively an approximately 4hr boat ride from Santa Cruz’s port). The Galapagos is home to an incredible array of iconic wildlife that you can only find here. The Galapagos is famous for endemic species like the Galapagos land iguana, Galapagos giant tortoise, blue-footed boobies and flightless cormorants – to name but a few. What also makes the wildlife of the Galapagos so remarkable is not so much the diversity in numbers of species found here, but rather how these species have adapted to very unique environments. Thus islands that are relatively close may be home to completely differenet species. 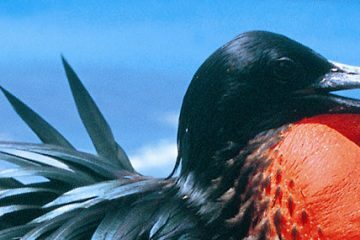 Here we share information on some of the most iconic species you can see across the main islands. The most southeaster island and the only that has the Galapagos (waved) albatros. Española is also home to the largest nesting colony of blue-footed boobies, as well as Nazca (masked) boobies, Galapagos sea lions and Galapagos hawks. The youngest of all the islands with the densest colonies of marine igunas, nesting colonies of flightless cormorants (courtship rituals are seen in July) and sea lions. The largest of the the island in the Galapagos. 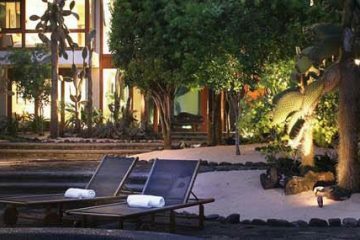 Wildlife highlights here include galapagos penguins, flightless corporatns, sea turtles and marine iguanas. Whales and dolphins can be spotted off the Western coast in July. There is also good snorkeling to see tropical fish and penguins. This small island is packed with wildlife and is particularly well known for its scenic vistas from Pinnacle Rock. The lookout to other islands is particularly popular with photographers. In September, the Galapagos Penguins are especially active here. 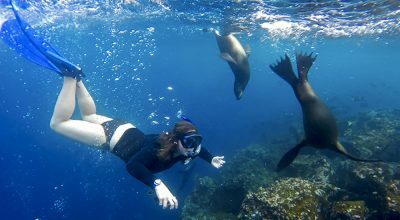 Possibly the oldest island in the Galapagos, Santa Fe has large numbers of sea lions on its beaches. It’s also known for land tortoises, the Santa Fe land iguana, Darwin Finches and Galapagos Hawks. The largest human population lives on Santa Cruz, principally around Puerto Ayora where hotels, restaurants and souvenir shops are clustered. The island is known for giant tortoises – both in the Charles Darwin Research Station, as well as in the wild up in the island’s highlands. San Cristobal is also home to a town and one of the two airports that connect the island to the mainland. Here key wildlife includes the unique San Cristobal mockinbird, Galapagos sea lions, marine iguanas, frigate birds, lava lizards and giant tortoises. This small island is particularly striking due to its distinct red color and red beach. Wildlife highlights here on Rábida island include sea lions, brown pelicans, Darwin finches, Galapagos mockinbirds and warblers. This island is home to land iguanas, magnificent and great frigate birds, blue-footed boobies, sea lions and marine iguanas. The South Plaza is a small island forming part of two islands known as Islas Plazas, formed by lava. 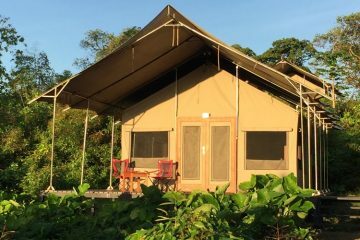 Wildlife highlights include land tortoises, red-billed tropicbirds and and iguanas. The Galapagos Islands are a year round destination, with both weather and animal activity factors to consider when visiting. Weather-wise the islands have a subtropical climate regulated by the cold Humboldt current and the warm El Niño current. December through May is the warmest time of year, with highs in the upper 80°s F (31° C). The sea is at its warmest and is usually calmer at this time of year. The drier garua season lasts from June through November. Garua is a mist that forms in the highlands of the islands. There is plenty of sunshine during the day, but it is less intense, with cloudier skies. Air temperature is lower, with highs in the upper 70°s F or mid-80°s F (25-31° C). The water temperature is at its coolest, about 68° F (20° C). 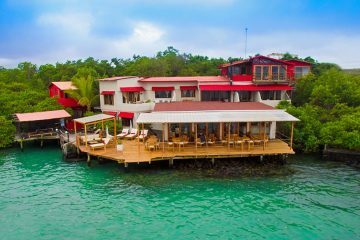 Contact us now for expert travel advice and a quotation for luxury travel Galapagos vacations. 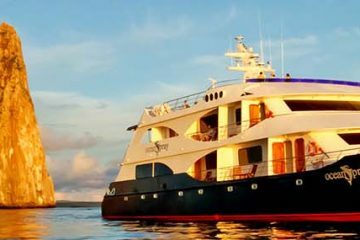 At Aracari we offer a handpicked selection of Luxury Galapagos Cruises, which range both in the comfort level they offer as well as the size and style of the vessel. 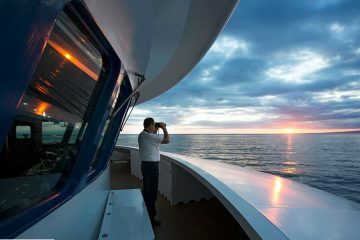 We personally visit and inspect all the cruises we recommend to ensure you can enjoy the best boats for the best value. 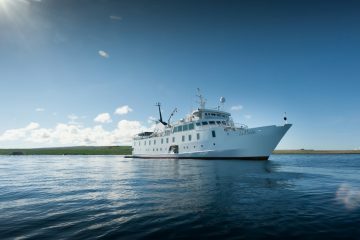 Luxury Galapagos cruise options are of different durations, with many cruises offering eight-day departures. Some cruises do offer shorter options for those with less time – five, four and even three-day itineraries are all possible. However, due to the distances involved to get to the Galapagos – flying from Ecuador’s mainland – we advise against taking the shorter cruises. The longer the cruise, the more variety of iconic wildlife you will be able to see. 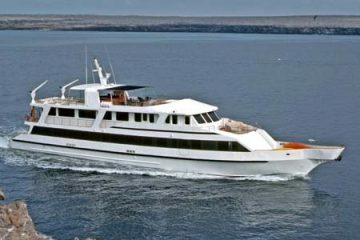 Some luxury Galapagos cruises may start in one airport on the Galapagos and leave from the other, depending on the route. 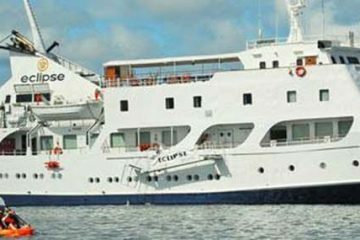 Most cruises are “Naturalist” cruises, in that they are aimed at the generalist traveler eager to learn about wildlife in the Galapagos. In all the luxury cruises handpicked and inspected by Aracari, guides are excellent: they are all biologists and experts in the ecology of the region with excellent language skills. The ratio of guides to travelers varies slightly from boat to boat, generally at around 16:1. Each cruise operates fixed departure schedules, rotating their routes. 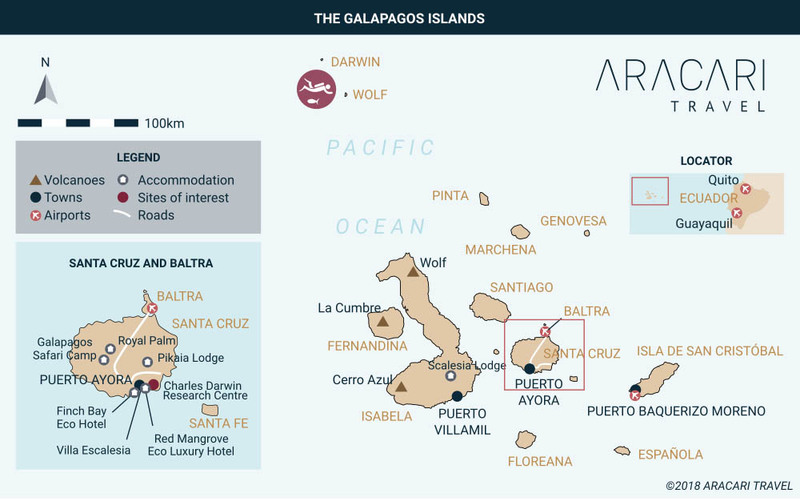 These set itineraries are approved in advance by the Galapagos Park Authority, as this is a protected area with a fragile ecology. Greater flexibility on routes can be arranged with private charter arrangements, which Aracari organizes. 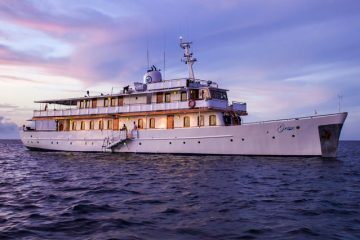 There are also diving cruises aimed at experienced divers that visit Darwin and Wolf, two islands at the far North of the archipelago where the most varied underwater wildlife is found. 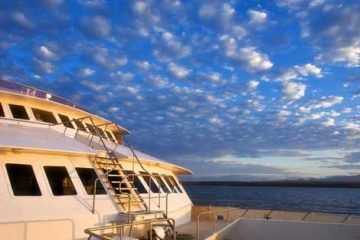 The Galapagos sky cruise is the best option. The Galapagos is one of the richest marine reserves in the world, covering 133,000 square kilometres (100,000 square miles). Three, key oceanic currents combine with the islands’ volcanic geology to create a nutrient-rich environment that is full of life. 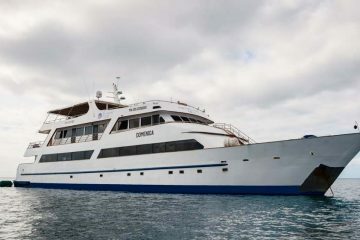 These luxury travel Galapagos diving itineraries also involve some naturalist visits but are mainly geared at divers. 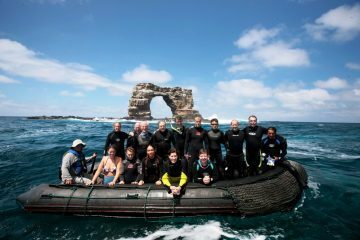 ‘Occasional diving’ itineraries, which we also offer, mean that the balance between diving and naturalist visits is equally split. Special ‘family departures’ are available in the larger boats, where small children have a special guide and activities geared to their age groups, which will keep them (and their parents) happy. 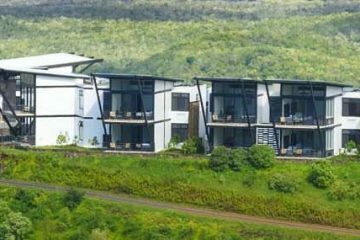 The Galapagos offers luxury hotels, lodges, private villas and tented camps for those looking for a land-based trip. 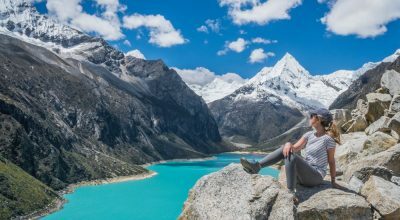 Staying in a lodge or hotel instead of taking a cruise allows you greater flexibility for touring: cruises follow strict schedules with early-morning wake-up calls. As such, land-based trips to the Galapagos tend to suit families – especially with younger children – best. You will visit nearby islands and wildlife with boat trips. 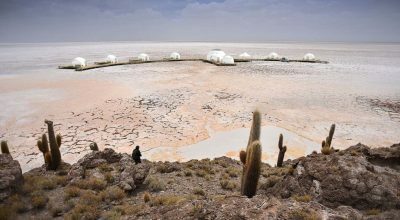 We’ve tried and tested all the options to share our first-hand experience when designing tailormade trips. 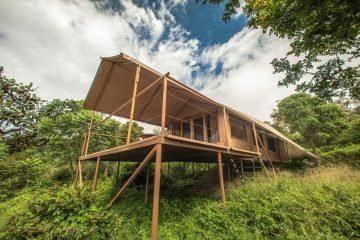 Here are some of our favorite places to stay in the Galapagos.